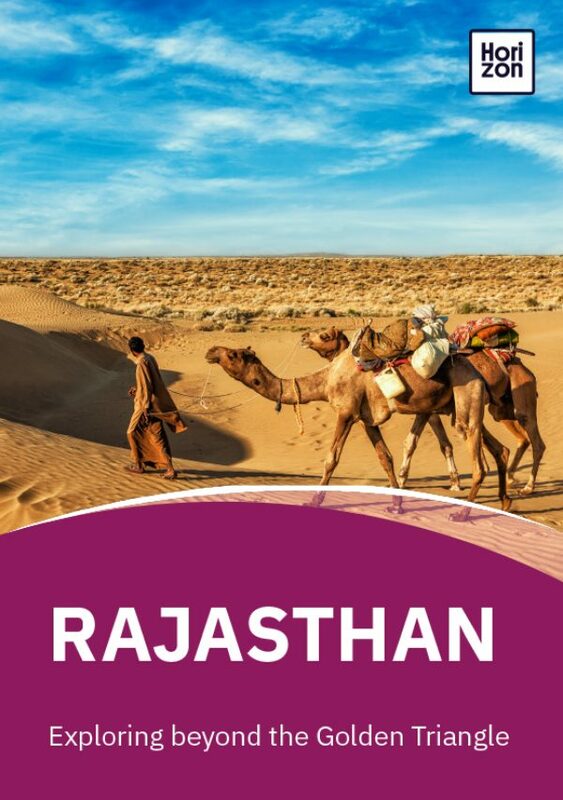 Rajasthan is India’s royal state. Dubbed the ‘Land of Kings’, its rich history can be traced back to the Indus Valley Civilisations of 2000 BCE, with excavations in Bundi showing prehistoric settlements. However, it is the Rajputs for whom Rajasthan is best known. Beginning in the 9th century, this dynasty gave Rajasthan both its initial name of Rajputana and its most profitable period. 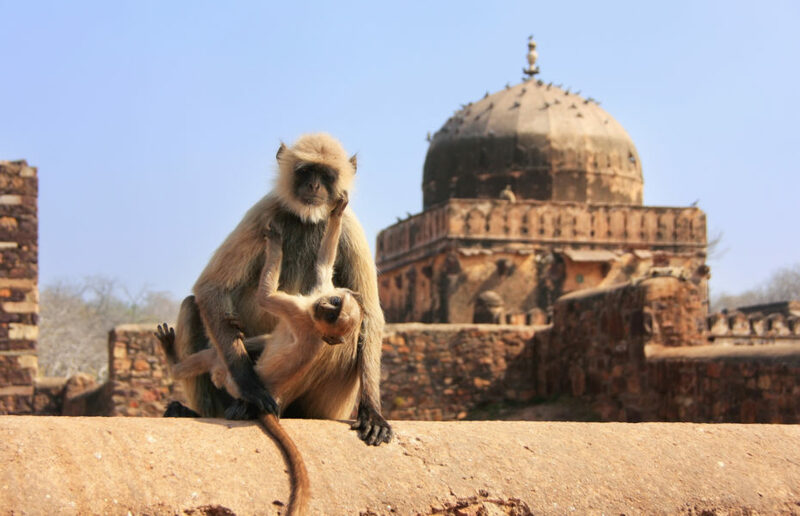 The Rajputs were a cluster of different communities and clans who came together to share a common ideology and culture, synonymous with being a warrior clan. The two Rajput kingdoms that stood out were the Sisodias of Mewar whose capital was Chittorgarh (and later Udaipur), and the Rathores of Marwar with Jodhpur as their capital. Many more existed in the region, often fighting against each other. In Indian history, Rajputs are synonymous with tales of chivalry, romance and flamboyance, as told through folk tales. But the various Rajput clans who set up small kingdoms slowly emerged as a combined force. They were in almost constant conflict with the Mughals, with things coming to a head in the 16th century with Mughal Emperor Akbar. He had married a Rajput princess and formed alliances with some rulers, but the Sisodias and Rathores refused to countenance an allegiance. A 1526 battle saw Akbar take Chittorgarh, with the town’s women famously self-immolating to preserve their honour. In the 18th century, The British East India Company convinced many of the Rajput states to join them, forming an independent state with the new name of Rajasthan. Most of the rulers became vassals of the British Raj who declared the region as princely states. There were around 19 states which eventually merged into Rajasthan. Today, Rajasthan is known for its royal history, filled with colour, valour and courage. Remnants of its past remain in its rich traditions, folklore and crafts. Its imposing palaces and forts remain a trademark of Rajasthani architecture, set in the vast desert and mountains that surround it. The history of Rajasthan is shown through its many forts, palaces and historical buildings. Almost every major city -- and many minor ones -- will have some form of architectural wonder to explore. Rajasthan’s temples date back to the 4th century, although more ornate and architecturally interesting temples began to develop from the 9th century. These typically had sculptures and marble carvings, such as the stunning Delwara complex at Mount Abu. Other notable temples include the Brahma Temple in Pushkar, which is one of the few in India dedicated to Brahma. This Hindu god was said to be cursed with having no places of worship on earth. Take a holy dip in Pushkar Lake before offering your prayers in the temple. For a change of pace, visit the Karni Mata temple in Bikaner, which holds more than 20,000 black rats. Each time a rat dies, a statue is built inside the temple complex. Ranthambore Fort, Sawai Madhopur: Ranthambore Fort has a varied history -- as well as being a royal residence, it was used as a prison during the Mughal era. Havelis (mansions) were the homes of rich merchants and traders in Rajasthan’s cities. Decorated with stone carvings and interiors of murals and frescoes, each merchant tried to outdo the next to show their importance and wealth. Every major city in Rajasthan will have havelis worth visiting, but Jaisalmer is a particular hotspot. Look out for the Patwon Ki haveli and the elephants of Nathmal Ki haveli. Built to commemorate the region’s maharajas and nobles, chattris (cenotaphs) are a frequent feature of Rajasthan’s architecture. Chattri literally translates as umbrella, which references the dome-like structure that covers the cenotaph. Rajasthan’s desert location means that conserving water has always been a major issue. Baoris are stepwells that were traditionally built to provide drinking water. Over time, they became meeting places and temples, decorated with sculptures and carvings. The 46m deep Ranji Ki Baori in Bundi is a fine example, showcasing carvings of Lord Vishnu. These sprawling complexes often housed whole cities within them, including palaces, temples and trading centres. Built on hillsides, these forts used natural defences to protect themselves, such as forests, deserts and of course, hills. The views from the forts are spectacular. Although initially conceived for protection from invading armies, these forts quickly became more extravagant as royal families settled in. Some of the best examples of Rajput architecture can be found in its palaces. Two of the most striking are the Hawa Mahal in Jaipur and the City Palace in Udaipur. Look out for the sheesh mahal (hall of mirrors). Visiting these forts is a chance to experience and imagine Rajasthan in its Rajput period, when kingdoms nudged up against each other and courtly culture helped develop the region’s arts, textiles and music. There are eight main hill forts in Rajasthan, clustered around the Aravalli mountains. Designated as UNESCO World Heritage sites, these forts were built by Rajput kings and date from the 5th century. Pushkar is a small and peaceful town, one of the most sacred in India. It’s the site of one of the only temples devoted to Brahma. There are millions of temples devoted to Shiva and Vishnu -- the other two gods that form the Trimurti, the three main gods of Hinduism -- but only a couple devoted to Brahma. The town surrounds a serene lake, where people congregate at dawn and dusk to perform religious rituals. The annual Pushkar Camel Fair is an agricultural fair, where camel herders meet to buy, sell, and trade camels, and also celebrate the festive season. It coincides with the Kartik Purnima (full moon), so the dates vary each year, but it usually takes place in late October or early November and lasts for eight days. The first few days are devoted to camel trading, and then the event shifts to celebrating Kartik Purnima. At this time, Hindu pilgrims flock to Pushkar to take a dip in the sacred waters of the lake, which they believe will cleanse them of their sins. Nowadays there are probably more tourists and photographers at the fair than camel traders and pilgrims. People love to visit because it’s a colourful festival, replete with tradition and located in a charming, peaceful town in Rajasthan. The mela (festival) now includes a huge carnival with an amusement park for children, a bazaar selling local handicrafts, musical evenings, walking tours, and a programme of popular events held in the on-site stadium. These events include camel races, a moustache competition, a competition to judge the best-dressed camel and much more. I arrived a few days early at the festival so that I could meet some of the camel traders. The days before the festival were relatively peaceful, but when the festival started, it became crowded and chaotic. During the five days leading up to Kartik Purnima, the small town of 15,000 swells to about 400,000. Because of all the people, the narrow market lanes, ghats and fairgrounds swarm with people, and the town’s usual serenity is lost in the melee. It’s still fun and interesting to be in Pushkar at this time, but the hotel rates go up (in some cases, way up), there are way more than the usual assortment of beggars, street kids and conmen and the authenticity factor of the fair is seriously lacking. Tourists will also be elbow-to-elbow with photographers, who are likewise jostling for advantageous positions. But there’s a darker side to the Pushkar Camel Fair than simply crowds and exorbitant fees. There are environmental concerns due to water shortages and development on the mela grounds to build a helipad and resorts. And there’s the camel herders themselves. Their way of life is dying, and it’s very hard for them to make a living with the ongoing drought in Rajasthan, the redundancy of camels in agriculture due to mechanisation, and some government policies that make life hard for the herders (such as restrictions on grazing lands). The truth is, camels in Rajasthan are in trouble. Camel numbers are severely declining – from about a million in the 1990s to 200,000 today – and the way of life of the raika (camel herders), is dying. There was a time when camels were an integral part of the culture of Rajasthan. They supplied milk, leather, and other products, they were elaborately decorated for weddings and other rituals, and they were an agricultural mainstay. Unfortunately, this way of life is dying out as mechanisation, water shortages, and government policies against camel grazing are taking their toll. A European veterinarian named Dr Ilse Kohler-Rollefson -- sometimes called Our Lady of the Camels – started working with the raika about 20 years ago. She set up a foundation, LPPS, and a camel milk dairy. She believes that the camel fair is no longer what it was. “Rural people came here to celebrate the Kartik Purnima and since large numbers of people congregated, it was also an ideal opportunity for trading livestock, the backbone of Rajasthan's rural economy. The camel was the most treasured of all livestock, and the raika camel breeders sold all their male young stock here, realising a whole year's income in a few days at Pushkar. “But now the demand for camels as work animals is much reduced. The situation became worse when the government of Rajasthan declared the camel a state animal and, in order to protect it, banned the movement of camels across state borders. If you want to experience Rajasthan's traditional camel culture, LPPS organises "chaifaris" to nomadic camel herds where you can sit around the fire with the raika herders, observe how they milk the camels and share a bowl of camel milk tea with them.